Pitman Training Centre Swords runs courses in Swords, Dublin to help people every year to get the skills they need for the careers they want. Whether you’re interested in secretarial, Microsoft Office, keyboard skills, book-keeping and accounts, IT or any of our other courses, Pitman Training is designed to help both boost your confidence and enhance your skills that employers look for in the workforce. 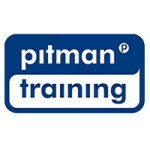 Pitman Training boasts over eighty centres worldwide that cover thousands of courses. And every Pitman Training course is designed to provide the knowledge and experience that employers are looking for. Pitman Training Centre Swords is no exception, offering the help and support you need, whether you’re looking to start work, upskilling for current work or about to approach a new career.